Calling All Modern Doll-Makers! Modern Doll SFGW Catalog Started! Good evening everyone, I am so pleased to tell all of you I have finally started to catalog my modern doll molds. I have hundreds to do so watch for many more pages to come. I am starting with The Doll Artworks. 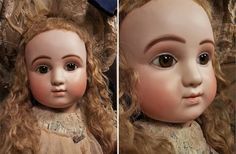 During the hey-day of modern doll-making, during the late 80’s and 90’s and into the 21st century, The Doll Artworks was one of the major producers of life-like children and baby dolls molds available for doll-makers around the world. 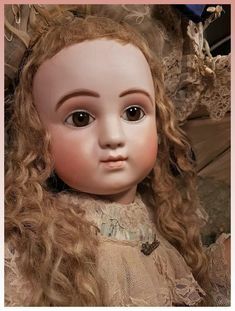 I have not started on the shopping cart buttons as of yet, but at least I have a start to listing all these wonderful dolls available from Land of Oz Dolls in soft-fired greenware. 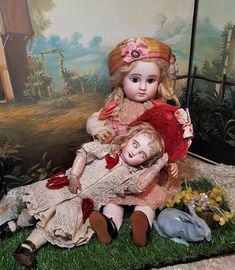 Here is a link to the start of the catalog: https://landofozdolls.net/modern-doll-sfgw-catalog/the-doll-artworks/ Soft-fired greenware has been fired to cone 019 and is ready to clean, fire, paint and assemble. The finished dolls shown are examples of the finished product made by The Doll Artworks and are not for sale. They are examples only. 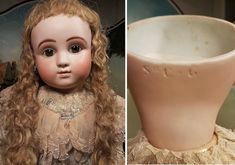 Most dolls from The Doll Artworks consist of head, shoulder plate, arms and legs in porcelain with a cloth body. There are a few exceptions. Christmas Special October 20th through December 1st, 20% off soft-fired greenware for “The Carolers” I have the molds for the large 27″ Dawn 24″ Beth, and 22″ Lori, and also the smaller size Dawn, Beth, Lori, Angelica, and Rosie. If you have any questions,want to know prices, or would like to place an order for any of the soft-fired greenware dolls shown, please contact: Connie. landofozdolls@mchsi.com Happy Doll-making! 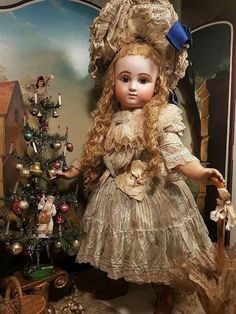 Virtual Tour – Christmas in the Doll Room at Land of Oz Dolls! Good evening everyone! The drawing for the Cherie Limoge Bleuette “Friend” Doll was held at 10:00 P.M. Sunday night, September 8th, 2013. I want to share the results of that drawing with you. Cherie Limoge was given away as a promotion for my new website www.landofozdolls.net. The winner is Annick Phillips. Annick has sent me a lovely photo of her and Cherie Limoge. Since I just started this website, I thought I would also highlight the winners from past promotions. Marlene Brown was the winner of the “Easter” 2013 “Giveaway” She received a beautiful Premiere Jumeau from the Facebook Promotion..
Linda Pepa was the lucky recipient of the Valentine’s Promotion 2013 which was another Facebook Promotion. The winner from the 2012 Christmas “Giveaway” was Deirdre Whipple Gawne. This was also a Facebook Promotion. Also, last December I donated an all-bisque doll with trunk to the Savanna Museum and Cultural Center for the “Festival of Trees” Barba Drebenstedt was the lucky winner of that doll. Congratulations to all the winners of this last years “Doll Giveaways”. Please watch for the announcement in the next couple weeks for Land of Oz Dolls next “Holiday Doll Giveaway”. I will be starting my Christmas Promotion soon. Good luck to all in the next “Doll Giveaway”. Have a great weekend! Good morning everyone, I would like to tell you about this week’s special. I am offering two human hair wigs which will be on sale through midnight Monday, September 16th. The first wig is the human hair Helen shown above on my 1907 Jumeau Bleuette “Friend”. The wig pictured is the Dark Brown, but is also available in Blonde, Light Brown, and Auburn. (Blonde in size 6-7 is out of stock until November but if you order now, I will honor the sale price for the order and no payment until stock comes in.) The cost for the size 6-7 is regularly $23.00 but is currently on sale for $18.00. These wigs are made of quality human hair and the curls hold up very well even in high humidity. I have trimmed the bangs on mine as they usually come with too long of a bang, in proportion for the doll. The second wig on sale this week is the Kimberly human hair wig that is shown on my Cherie Limoge Bleuette “Friend”. This wig is also a size 6-7 and comes in Dark Brown (color shown), Light brown, Auburn, and Blonde. ( Blonde in size 6-7 is out of stock until November but if you order now I will honor the sale price for the order and no payment until stock comes in). The regular price on this wig is $20.00 and is currently on sale for $16.00. Again, I have trimmed the bangs on mine as they come longer than I like. This is a great quality, short little, wig that enhances the beauty of your dolls face. I am also offering other sizes of these wigs on special for this week. All sizes come in the same four colors as described above. The Kimberly wig in sizes 10-11, 12-13, and 14-15 is not available in Dark Brown and there is not a size 16-17 available. Happy Labor Day everyone!!! This is the last official holiday weekend of the summer. I just don’t know where the summer has gone. Time has just flown by and I just haven’t been able to keep caught up with everything as much as I would have liked to. In celebration of Labor Day I am going to rerun the first three weekly specials I have posted on my new website here so the people who missed them, will have another chance to purchase. These three specials will run through Sunday, September 8th. All items may be combined for the lowest shipping rate possible. Please email me at landofozdolls@mchsi.com to place your order. The first item I am rerunning on special is the 38mm, #733 Girl’s Dress Shoes for Bleuette. These darling vinyl, little strap shoes with buckles, come in your choice of eight colors. The 38mm size fits the wooden Bleuette body. Colors available are white, black, light pink, light blue, purple, red, yellow, light green, Cost is regularly $7.00. They are on special until September 8th only for $5.00 a pair. No limit to the amount you may purchase. I only ship by Priority Mail so shipping cost for the small flat rate box is $5.35. You may purchase as many pairs as you would like for the one $5.35 shipping cost. One pair or ten pairs is the same shipping. If my quantities in stock for immediate shipment run out then it will take about ten days for you to receive your order. To place an order for these great little Bleuette shoes please email me at landofozdolls@mchsi.com to place your order or phone 815-565-0024 to place a phone order. Payments are processed through Paypal or you may use Discover, Visa, Mastercard or Personal Check. The price for the shoes will go back to the $7.00 a pair on Monday September 9th. Feature number two is the “Margie” wig size 6-7. These darling little synthetic mohair wigs for Bleuette are available in six color choices: Honey Blonde, Light Peach Blonde, Golden Strawberry Blonde, Golden Auburn, Chestnut Brown, and Brown / Black. My regular price for these wigs in my Ebay store is $18.00. From now until midnight September 8th 2013, these wigs will be offered at the special price of $15.00 each. No limit to the amount you may purchase at the $15.00. Priority Mail Shipping is $6.00 for one wig, or you may purchase two or more for the low shipping price of $8.00. The #733 Girl’s Dress Shoes that are also currently on special may also be added into your order for one low shipping price. The “Margie” wigs are part of my regular line and are always available by contacting me, but are only at this special price for the Labor Day Sale right now. To place your order please email me at landofozdolls@mchsi.com or phone 815-565-0024. If you are looking for other sizes I do have the “Margie” wig also available in size 5-6, 7-8, and 8-9. Please contact me for prices on the other sizes. The 5-6 will work on the 12″ French Fashions and the 7-8 will fit Rosette. looking forward to hearing from you! Well, today is the day I am introducing you to my new website landofozdolls.net. If you read my two previous blog posts here on the website you will have a little bit better understanding as to why this website has came about. As a celebration of my new website I will be starting my “Summer Doll Giveaway” Promotion! This is not the first time I have given a doll away in the past year and it won’t be the last. I have been blessed with such joy, watching the winners of the dolls learn that they have won, and also have greatly appreciated the photos submitted from the lucky new mamans. I will share the winners of the last several promotions with you soon in an upcoming post. The rules are different for this “Summer Doll Giveaway Promotion” than what it has been from the previous “Giveaways”. This time I need to promote the establishment of this new website before I discontinue the use of my other websites. So the rules this time are pretty simple. There is a box on the right hand side of this page where you can subscribe to my posts by email. From this subscriber list, the winner of this beautiful “Cherie Limoge” Bleuette “Friend” will be chosen. You only need to enter your email address, hit the subscribe button, then you will be sent a confirmation email. Once confirmed, you are entered in the drawing. This is the only way you can enter the promotion this time. Everyone is only allowed the one entry. Now, let me introduce you to “Cherie Limoge” by Connie Zink. “Cherie Limoge” will go to the lucky winner at 10:00 PM Sunday night, September 8th 2013. She comes complete with wooden base doll stand, underwear, shoes and socks, and her one-piece navy blue and white striped dress and blue jacket (jacket included because the evenings will be cooler by then). She also has a lovely little patriotic basket included with her. Total value: $350.00.